Talk about a rigorous royalty identity test (one that mattress)! Hans Christian Andersen offers his literary tale about a young lady who must prove her worthiness to marry a prince. She could have simply offered, "I'll sleep on it." This classic fairytale was first published by Andersen in 1835. 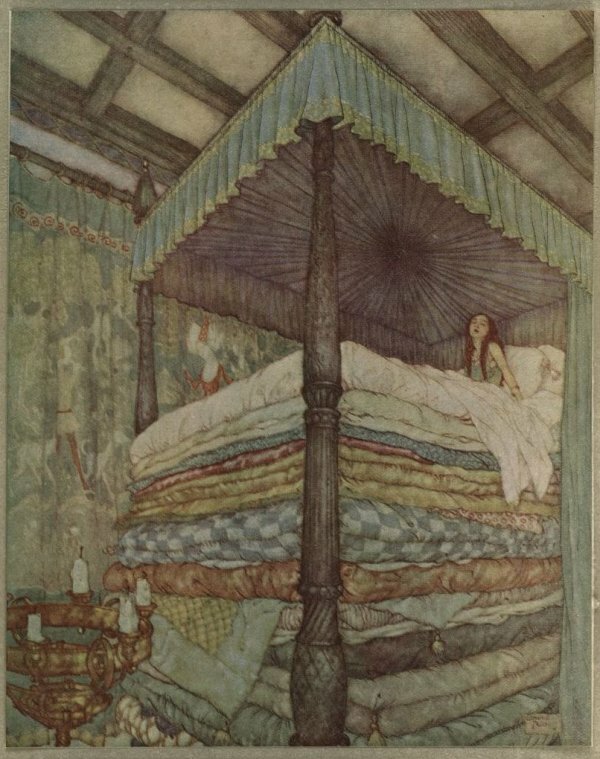 Add The Princess and the Pea to your own personal library.